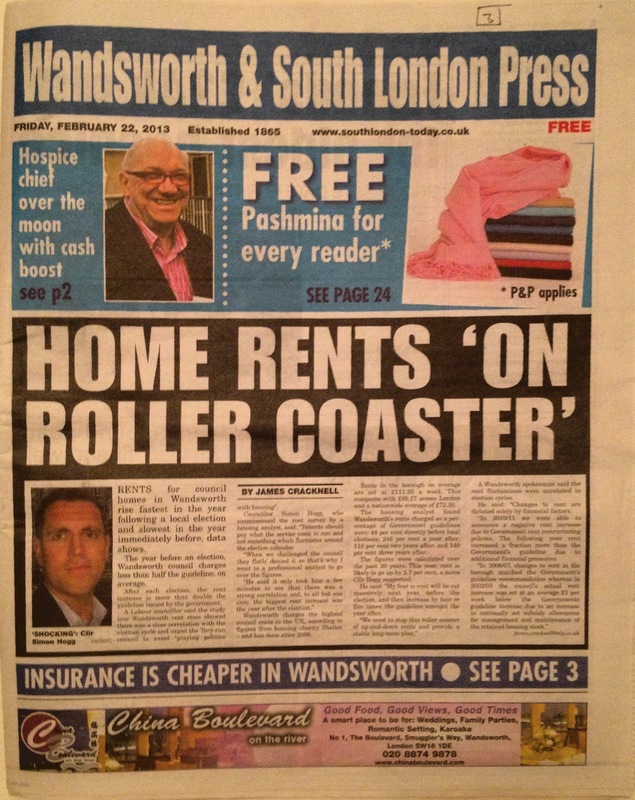 Wandsworth Guardian, February 28. The Guardian also ran an article ‘New council map shows “forced” Wandsworth migration’ on March 7, based on a map I found in the appendix of a council report. 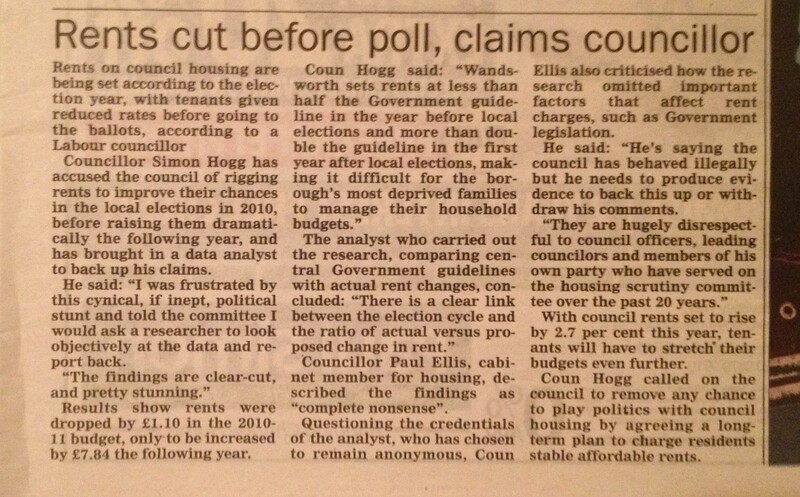 Daily Mirror, March 5 & March 6 ran the results of an excellent GMB investigation inspired by figures uncovered by Cllr Tony Belton. 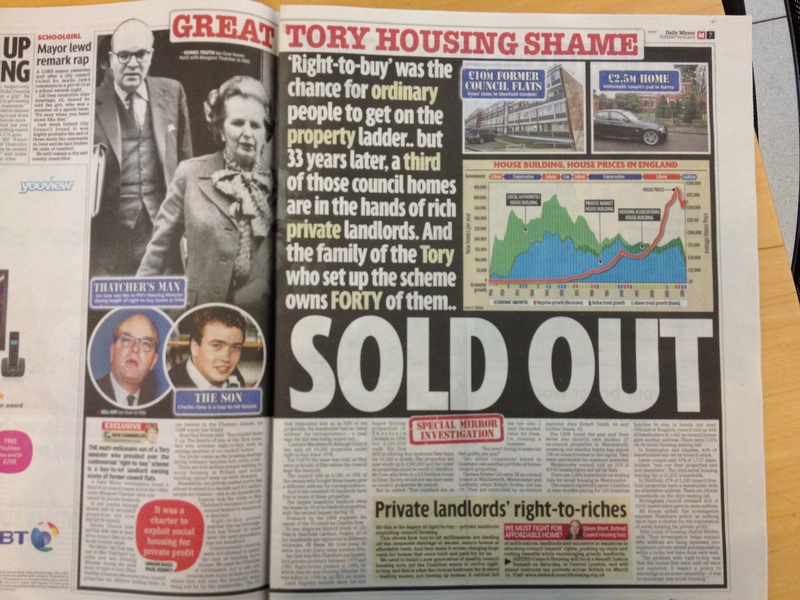 See Great Tory Housing Shame and Ex-Council Housing Racket. 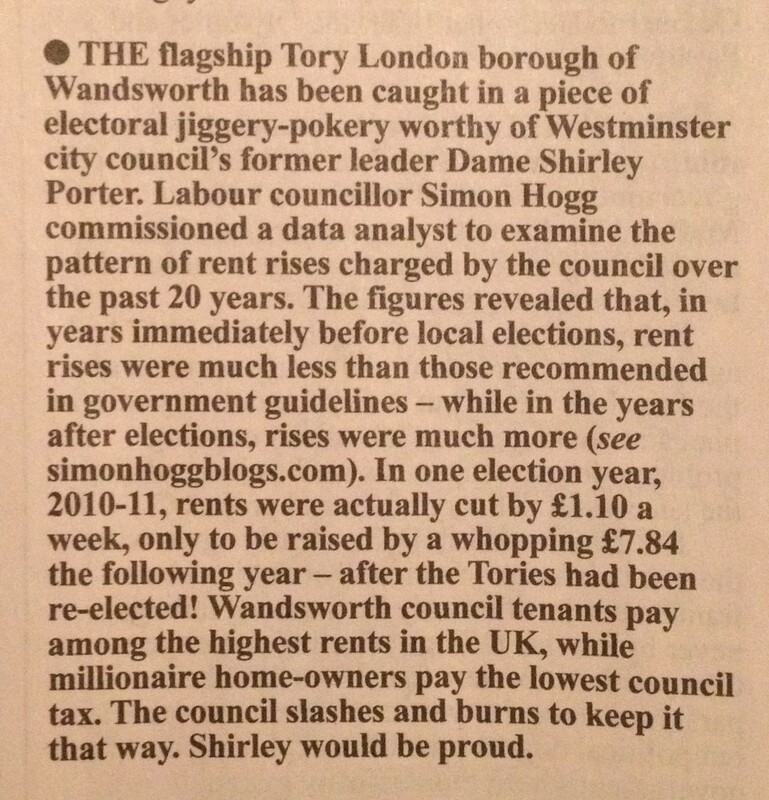 This entry was posted in Uncategorized and tagged Housing, Right to buy, Wandsworth Housing Crisis, Winstanley Estate by Simon Hogg. Bookmark the permalink.